THE cause of a house fire at Blairgowrie, Sunday 2 September, is being investigated by police. No one was at the two-storey brick house in Fawkner Avenue when the blaze broke out at 5.30pm. However, police want to identify two-three men in their 20s seen earlier trying to put out the flames before CFA crews arrived. One was wearing a red track suit. Firefighters from Sorrento, Rye and Rosebud worked hard to control the blaze. 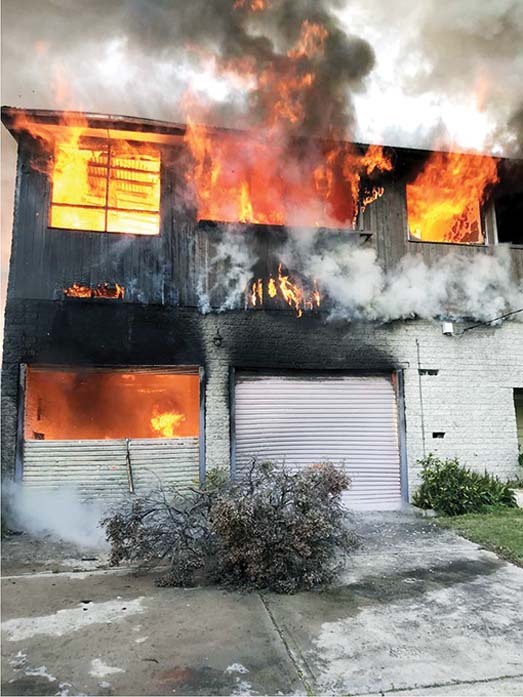 Anyone knowing the men or who assisted with the house fire is asked to call Detective Sergeant John Coburn, at Mornington Peninsula CIU, 5978 1431.